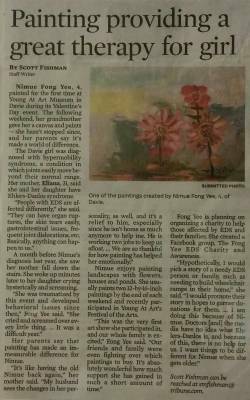 In 2014, Nimue had an article written on her by The Sun-Sentinel. Won several awards since 2014 in her age division in the "Festival of the Arts" event. This event was held at Young at Art Museum. 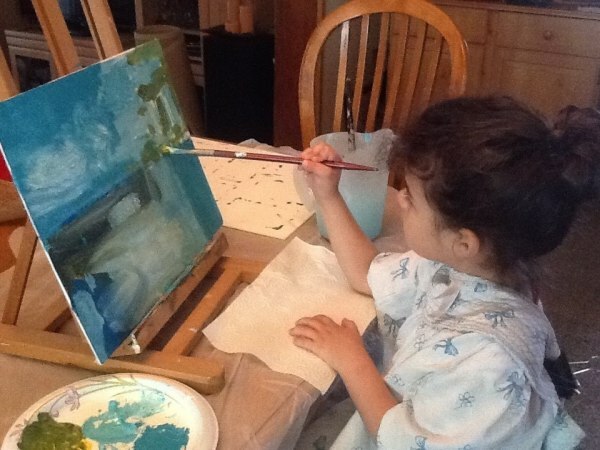 Nimue started painting in Febuary 2014 and enjoys painting on weekends with her grandmother. 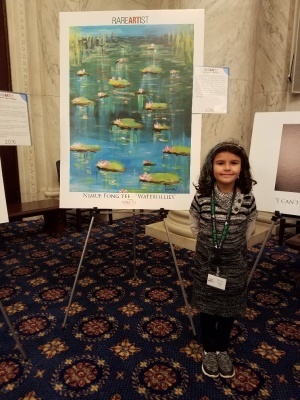 With barely two months of painting experience, she entered an art show/competition and won first place in her age division. 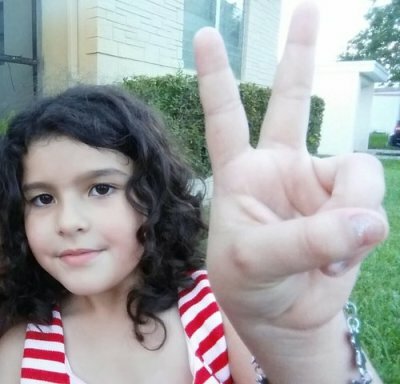 She was only 4 years old at the time. 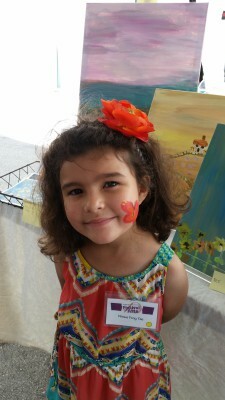 Nimue is an art prodigy with a natural talent and love for painting. 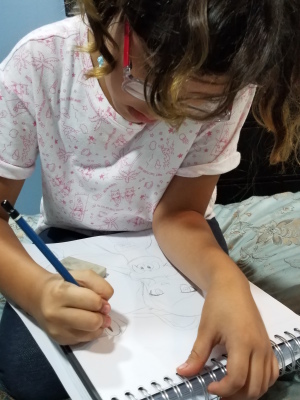 Between this and the rare syndrome in our family, her story caught the attention of a reporter for the Sun-Sentinel. Our family was overjoyed that her story was being shared. Nimue and her family are working towards establishing a charity to help others with Ehlers-Danlos Syndrome (EDS). We are hoping to financially help individuals/families with their medical needs. Fundraiser for the trip to Washignton DC! Nimue was published in an online journal of deaf and disabled liturature and art. Please check out The Deaf Poets Society! Nimue was entered into an annual contest for RareArtist.org for the first time. The judges picked her as one of the winners in the child category!